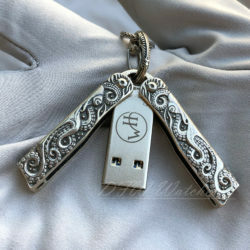 William Henry is an American brand creating timeless personal style for men through unique accessories crafted with honor and integrity. 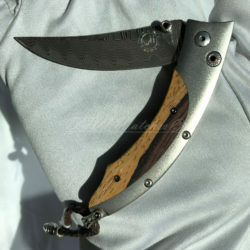 The brand earned its fame for creating exclusive and award-winning pocket knives, and transforming the archetype of all tools into a superb piece of functional jewelry for men. 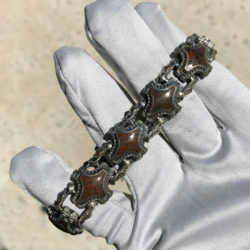 Today’s collections also include men's jewelry, writing instruments, money clips, cuff links, key chains. 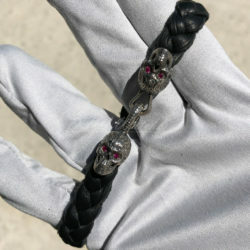 The accessory of choice for celebrities such as Harrison Ford, Zac Brown, John Varvatos & Jared Leto, William Henry is a unique look sure to bring out the feeling of every style. 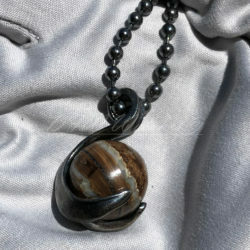 Handcrafted by amazing artisans, every William Henry pieces is a true work of art. Next time you are looking for something to set you apart, think William Henry. 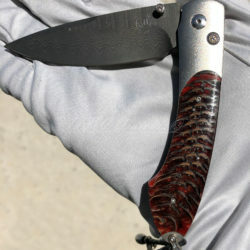 Stop by our showroom to see our collection of William Henry knives, pens, & more - or scroll below to view and purchase online. 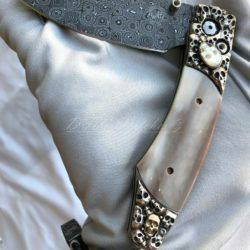 Forged titanium alloy, Damascus steel, white topaz & sterling silver. 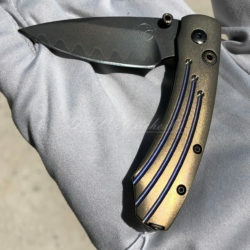 Titanium frame and blade in black-coated ZDP-189 steel. 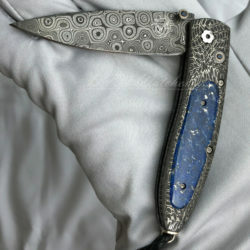 Hand-forged Damascus frame inlaid with lapis lazuli stone. 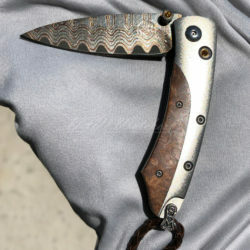 Hand-forged Damascus blade. 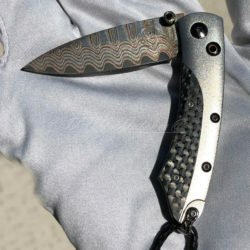 Titanium handle inlaid with carbon fiber, and 'Copper Wave' Damascus blade. 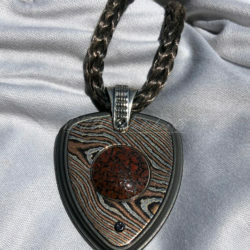 Hand-carved sterling silver inlaid with desert ironwood. 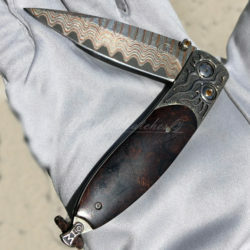 'Copper Wave' Damascus blade, citrine gemstones. 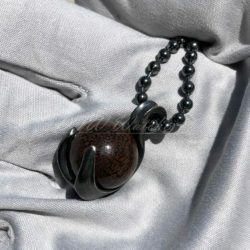 Hand-carved sterling silver handle inlaid with green jade. 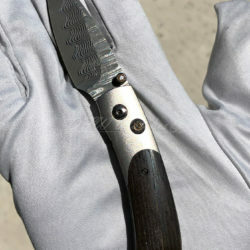 Hand-forged Damascus blade. 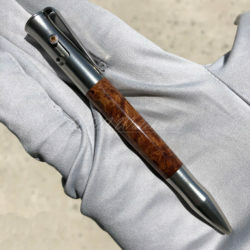 Titanium frame inlaid with desert ironwood. 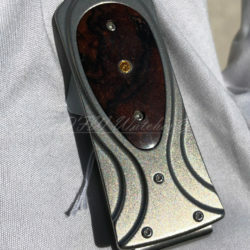 'Wave' Damascus blade with citrine gemstones. 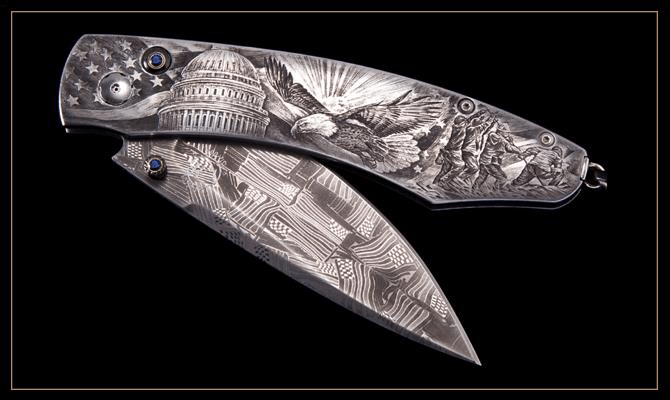 Hand-engraved stainless bolsters with inlaid 24k gold. 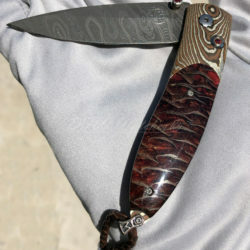 Hand-forged Damascus blade. 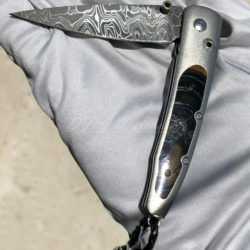 Titanium handle inlaid with carved sterling silver, and hand-forged Damascus blade. 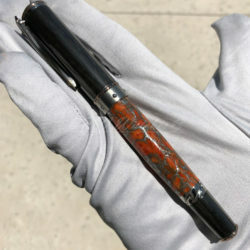 Fossil coral barrel with carbon fiber cap with sapphire gemstone. 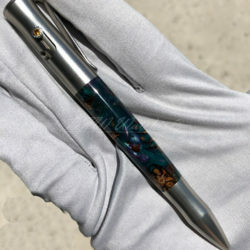 Stainless steel pen with resin infused pinecone and citrine gemstones. 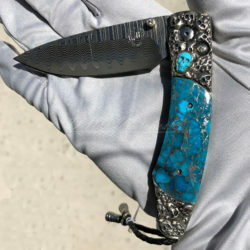 'Zinc-matrix' Kingman turquoise barrel, carbon fiber cap. 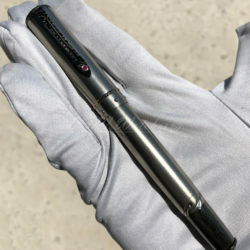 18k gold nib, diamond pocket clip gem. 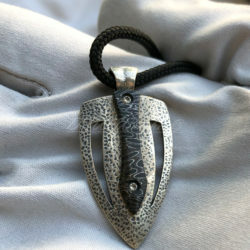 Hand carved or finely cast personality statements and men's jewelry collections. Every watch collection should include a dress watch. A dress watch quietly says you pay attention to detail, with a classic and timeless style. 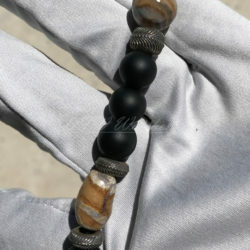 We proudly feature William Henry collections. Visit our showroom to experience our timeless collections. 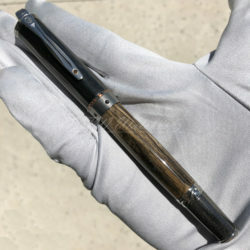 DFW Watches is an authorized dealer of Wolf Watch Winders & Boxes. Please come take a look at our selection in store. DFW Watches is an authorized dealer of Rubber B Watch Straps. Please come take a look at our selection in store.